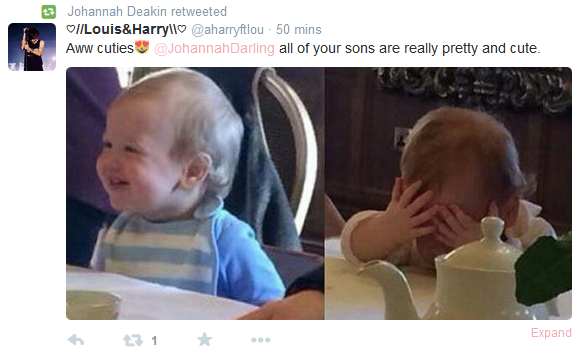 Johannah just retweeted this. Which is both weird because, well, "all of your sons", but also noticable because the person she retweeted is an abvious Larry shipper. Phoebe's twitter account has also pretty much confirmed to be real, as she posted her own pictures of Ernest and Doris' party. 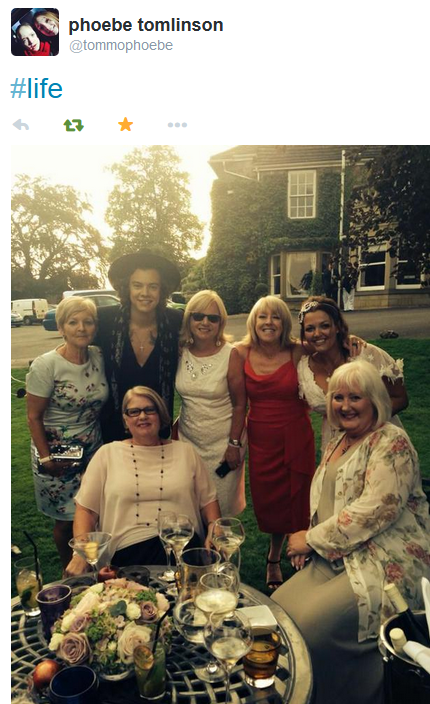 (note the #) ... Louis' family is getting pretty interesting on twitter these days.